The regulation on marking packed foods and cosmetics with a best-before date was an important achievement in consumer protection nearly 40 years ago. Back then, just as now in 2019, this European specification poses a great many challenges: To the producer of the goods concerning specification of the safe date, to the manufacturers and dealers for the technical marking of the finished packagings and not least to the consumers, who need to properly interpret this best-before date and not mistake it for a use-by date. While the marking is applied relatively easily right at the production lane in the area of industrial production, producers and dealers without production lanes have always struggled with manual solutions, such as separate paper labels. This is done even though the task can be completed simply, safely and universally today, using mobile digital printing: With the mobile inkjet printers from innovation forge REINER, in particular the handheld inkjet jetStamp 790 MP and handheld date coder jetStamp 792 MP models. Why is there a best-before date? What does the best-before date mean for small producers, small and medium-sized enterprises? What does the best-before date say according to the law (food labelling regulation)? What is the best-before date, and how is it different from the use-by date? Who specifies the best-before date for foods? And: Who invented the best-before date to begin with? Where does the marking obligation for foods require the best-before date to be put, and how does the best-before date have to be indicated? Which printers are suitable for marking foods with a best-before date? Since eating spoiled foods may lead to considerable health hazards, however, the legislator saw a need to act. 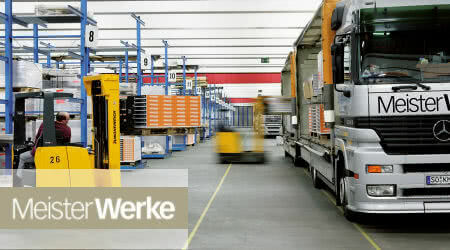 The food labelling regulation ("Lebensmittel-Kennzeichnungsverordnung"; LMKV) was the first stipulation of binding and clear provisions for placing a best-before date on closed packagings with perishable contents in Germany in 1981. In the European Union, these provisions were transferred into the food information regulation. 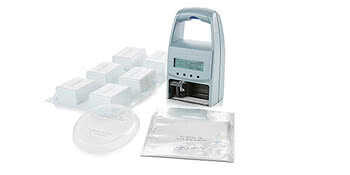 This stipulates transparent and consistent specifications of manufacturers and dealers throughout Europe, for marking of both foods and cosmetics. More and more organic farmers are setting up direct sale of their products on their farms and weekly markets. Just like the food in supermarket, their packed foods also must be marked with a best-before date. How can manufacturers of small batch sizes of foods that are traded in various packagings, such as screwed jars, vacuum packs, cellophane and cardboard boxes, mark them with a best-before date rationally and in compliance with the regulation? Modern farmers, as well as coffee roasters, beekeepers, master brewers and many other small producers use mobile digital marking devices like the handheld inkjet printer jetStamp 790 MP or handheld inkjet printer jetStamp 792 MP for this. These are small inkjet printers that are placed directly on the packaging by hand and that print on the text image with great precision and permanently – in this case the best-before date. The mobile REINER marking devices are the innovation drivers and market leaders in this application area, in particular with the handheld inkjet printer jetStamp 790 MP and the handheld inkjet marker jetStamp 792 MP. Not only small enterprises value the diverse uses of these precise and speedy "handheld inkjets": The intuitive enclosed PCset easy software makes it possible to design the filling date, best-before date, time, lot number or batch number and transfer these to the mobile marking device. The specially developed MP printing inks adhere securely to nearly any materials, such a glass, plastics, films and metall. A best-before date ("MDH") is usually mandatory when selling foods that are not offered openly but in a closed package. This is the date until which the product will "keep its specific properties under appropriate storage conditions." If a product changes its "composition" so much after a certain time has passed that its nutrition-physiological effect (such as the vitamin content), enjoyment value (taste, smell, colour, consistency) or usability (e.g. raising capacity in yeast) no longer lives up to the product promise, the buyer should be informed of this "limit date" on the packaging. Depending on the product, this can also be about guaranteeing that no harmful germs have spread in the packaging yet – at least until the best-before date. Therefore, companies add a buffer to the date, which explains why foods are still edible long after the best-before date printed on them. There are no legal provisions in Germany that forbid trade from continuing to sell the goods after the best-before date. However, the dealer is obligated to check that the goods are still good. They must be marked separately then. Such products are usually sold in the special bargains and subject to a discount of 50% and more. 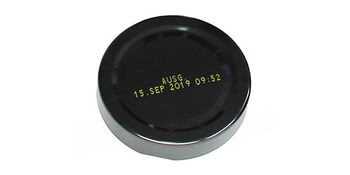 According to general understanding, the "best-before date" is always used in connection with the food labelling regulation. In the years since the best-before date was introduced, and in particular also in 2019, the consequences of this marking obligation have been discussed controversially many times. Many consumers mistake it for the use-by date. A great share of foods needlessly thrown away is disposed of due to this misunderstanding. When the best-before date is reached, this does not automatically reduce the value of the product or render it unsuitable for ingestion. In order to counter the throwaway trend, many TV reports and articles on social media tackle the subject and illustrate in "self-experiments" that, e.g., yoghurt is still perfectly edible even as much as four weeks after the best-before date. Information initiatives of the Federal Ministry for nutrition and agriculture support this trend. The use-by date or expiration date is very different from the best-before date. It must be used when marking highly perishable foods that may pose a direct threat to the consumers' health after a short period. Known examples for this are, in particular, minced meat and raw poultry. The consequences when the use-by date is exceeded are much stricter. These products must no longer be sold or eaten immediately. 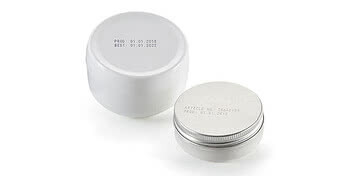 The printed best-before date is the manufacturer's own responsibility, based on the provisions of the EU food information regulation, but most of all based on many years of experience and/or specific storage tests. According to Wikipedia, the first approaches to using a best-before date can be found in Sweden as early as in 1946. The founding of the "Institute for preservation research" and later a "Refrigeration industry agency" there served as an example for Austria in the 1960s. In the early 1980s, the marking obligation for food was also introduced to the German regulations and, in the scope of harmonisation of laws in the European Union, finally to the EU food information regulation. Like any marking, the best-before date must be easily legible on the packaging (with a font size of at least 6 points = 2 mm and sufficient contrast. Compliance with these provisions is reviewed and violations are sanctioned by the authorities in the individual Federal states. A new EU regulation has put an end to the need to place a best-before date on the packaging of very durable foods such as salt, sugar and vinegar. 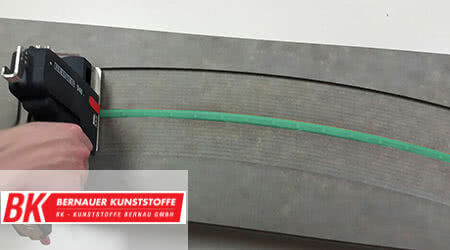 The increasing popularity of mobile REINER marking units, specifically among small producers, is not only in their handy use. The quick-drying inks, combined with the REINER handheld inkjet coder jetStamp 790MP and handheld inkjet coder jetStamp 792 MP, form a perfect basis even if the investment budget is low. Smooth surfaces, such as glass, can be printed on with an even more intensely coloured and wipe-proof imprint. For use on dark surfaces, a yellow solvent-based ink called P1-MP6-YE has been developed, in order to offer safe, mobile marking on dark materials as well. The REINER jetStamp 790 will put a professional imprint onto the coffee bags of Maya placed next to the roaster right at the site of filling. The filling and expiration dates are provided automatically by the mobile printer on site once it has been programmed. A single movement of a hand prints two dates onto the bags filled with beans still warm from roasting. The process requires no interim storage or label printing.